During the past two years, the 13-year-old has spiced up ramen noodles with Korean-American street food guru Roy Choi. He has simmered butternut squash soup with Sting's daughter, Fuschia Sumner. And he has baked hundreds of bright blue frosted cookies for guests at an Autism Speaks gala in Los Angeles. There, he was introduced by Conan O'Brien. "He wasn't even eating food until he was 8 years old," said Nick Shipp. He is executive chef at The Upper West. It is the Santa Monica, California, restaurant where Bailey helps cook dinner once a week. "For him to go from that to cooking and eating all kinds of different things, it's pretty remarkable." After her son's diagnosis, friends and acquaintances prepared Mary Bailey for the worst. He'd never be able to have a job, some said. He'd probably never learn to socialize. And he'd never be independent. Setting out with her home camcorder and using a friend's kitchen, they recorded the first episode of "Chase 'N Yur Face." Then they posted it to YouTube. The show quickly caught the attention of autism groups. Realizing the impact they could have, Mary Bailey began looking for ways to enhance the production. She hired a professional film crew and started incorporating cooking and shooting episodes into her son's homeschool curriculum. In the show, a confident, charismatic Chase whips up everything from cupcakes to braised rabbit. The show, which now has more than 30 episodes online, has garnered tens of thousands of views. Chase Bailey dreams of one day seeing his show on television. He also wants to open his own restaurant. He hopes his experience can help others with autism. Food is a challenge for autistic children because it can be very overwhelming for them. In the article, it says " The sight, smell, feel and taste of almost everything put on his plate tipped his sensory system over the edge." Chase didn't like to eat food because it was to complicated for him. 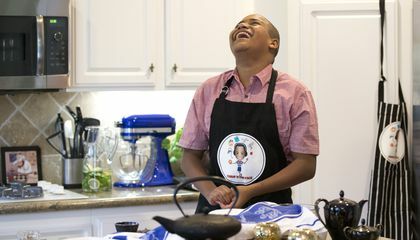 I think it is so sad when a child is diagnosed with something like autism but it is inspiring that someone like Chase went from being scared of food, to now have his own cooking show. It is simply amazing what you learn to love when you overcome fears. One my never know what they are passionate about or good at if they do not try new things. This young man is a inspiration. WOW! All those food look yummy. I wish that I can eat some of those. Maybe I will also learn how to cook stuff. But it will take a lot of practice. I am up for it. Food tends to overwhelm the senses of children who are diagnosed with Autism. In the article, Chase's early aversion to food is described as, "The sight, smell, feel and taste of almost everything put on his plate tipped his sensory system over the edge." However, Chase learned to overcome this reaction to food and instead began to embrace food and cooking--that is what I found thoroughly amazing about the article. 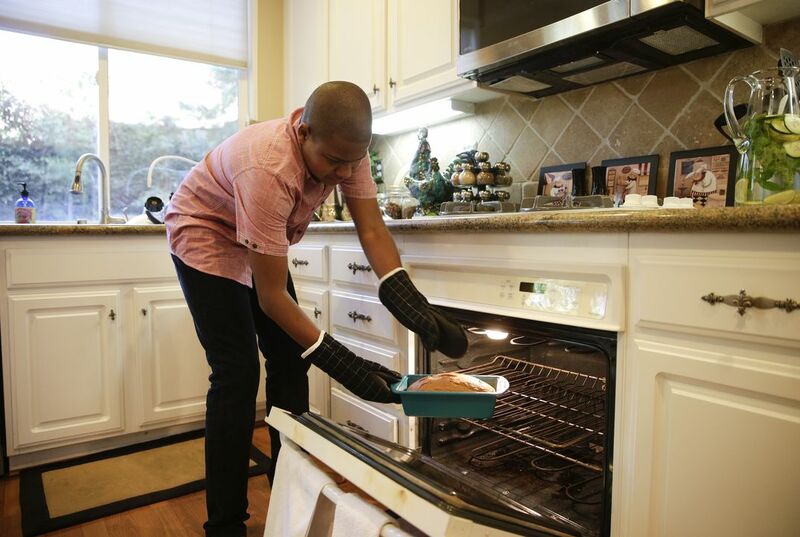 An Autistic boy who found himself in a position where even his family doubted he would amount to anything was able to pursue what he loved to do. Food is a challenge for autistic children because they have trouble eating. The food usually makes their sensory system overwhelm. In paragraph 8, Chase Bailey says, “"I didn't like how it looked[...] I didn't like how it smelled." This reveals all the troubles autistic kids have with food. Their body rejects anything to do with eating, which is why food is a challenge for autistic children. I found this article very interesting, and was surprised when I learned that Chase Bailey started a cooking show, which is all about food. Food is a challenge for autistic children because they are very picky on what and how they eat. Some evidence from the story to support this is in the text it says ""I didn't like how it looked," he said. "I didn't like how it smelled."" Also the text says that he has drastically changed on how and what he eats. Some evidence from the story to prove this is "The days when Bailey would eat nothing but pizza, chicken, French fries, chocolate chip cookies, and chips with dip almost seem like a faint memory." People underestimating autistic people is a shame. Just because they are different doesn't mean they have something wrong with them or can't do what we can. He overcame his fear and created a new passion for himself with food and cooking. Just to think about it, he's probably a better chef than most people I know. this article comes to prove that just because your different doesn't mean you can't be great. knowing that a disabled person can become a cooking show star, makes me feel like I can do anything! I can't believe that he started of as a disabled 2 year old then became an all time star! I love that know matter how disabled he was his mom all ways believed in him. It is very surprising what you can do when you overcome fear. He went from eating junk to only stuff HE whips up! I am very proud of him! !